We’re proud to share this new video with you, a short film made in conjunction with North Fork Studios that highlights the incredible progress being made on the Columbia River Fish Trap Project. As Wild Fish Enthusiasts, we’re proud to share this new video with you, a short film made in conjunction with North Fork Studios that highlights the incredible progress being made on the Columbia River Fish Trap Project. Our research in 2016 and 2017 showed the fish trap to be a highly selective and sustainable fishing method that would greatly benefit wild fish recovery. In 2018 we turned the focus of our research to testing the economic viability of the fish trap as a commercial fishing method. 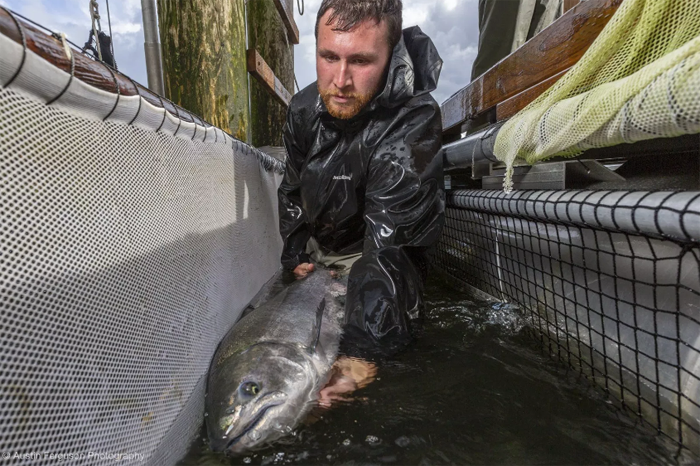 Salmon harvested sustainably from the trap in 2018 by local commercial fishers were processed locally in Cathlamet, WA and were sold in markets across the Pacific Northwest. The feedback we received was phenomenal, with processors, sellers, and consumers all commenting on the incredible quality and freshness of the product. 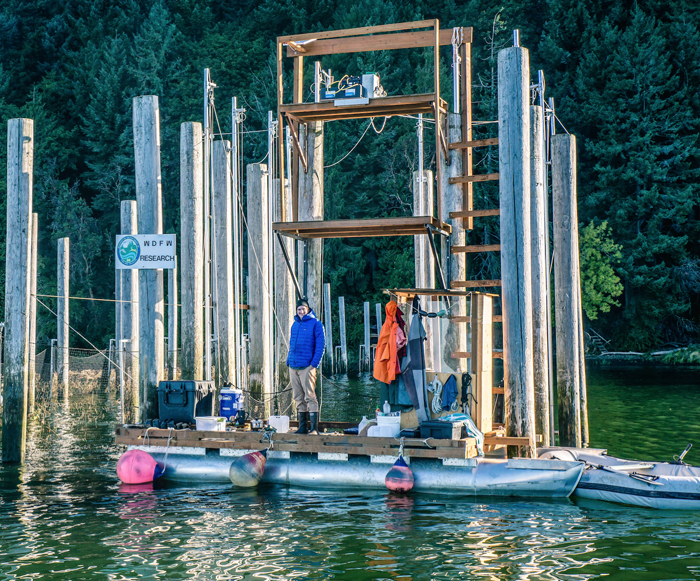 After years of hard work, a sustainable fishery is finally active on the Columbia River. Not the Eiffel Tower, but it’s substantial and has proven effective. With wild salmon in dire straits, and Southern Resident killer whales starving, the need for alternative, selective, and sustainable gears like fish traps has never been more pressing. We hope you enjoy the video. Don’t forget to head on over to thefishtrapjournal.org to learn more, and to watch part one.